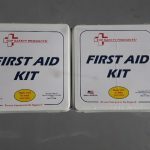 The first aid kit features the standard instruments including scissors, bandages, and tape. It also meets 2018 New Jersey State Pool Code Regulations for pools > 5,000 sq. 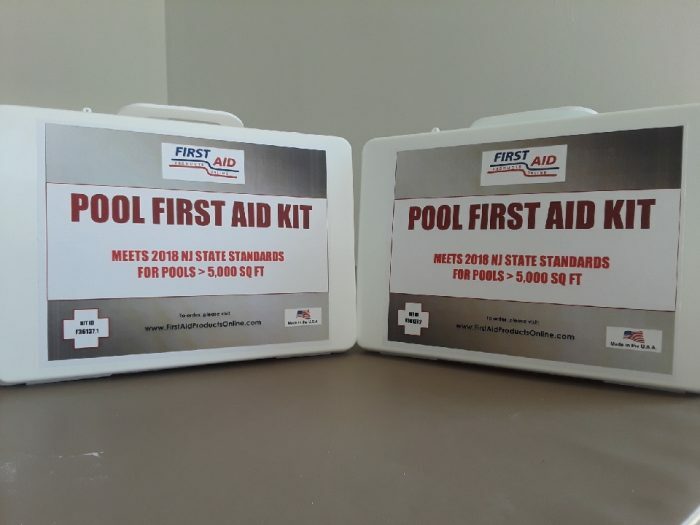 ft. Each NJ Pool Kit consists of two (2) components.